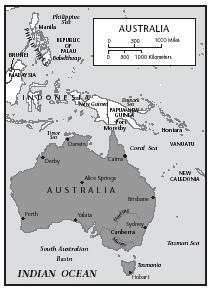 Aborigines (ah-bow-RIH-jeh-neez) are people who have lived in Australia for approximately 40,000 to 60,000 years. The word comes from the Latin words— ab and origine —which mean "from the beginning." Historically, the Aborigines were hunters and gatherers, and a small percentage were still living this traditional lifestyle as of the twenty-first century. Gathering plants or hunting animals usually depends on the climate. Central Australia is fairly dry and plants are sparsely scattered over the land. Aborigines rely on hunting animals and eating seeds and roots of plants for survival. In northeastern Australia, tropical trees offer a variety of fruits, vegetables, and nuts, including the popular macadamia nut. Those living along the coast who follow the traditional Aborigines lifestyle have access to seafood. Most Aborigines are known to be skilled at growing things and most often use the land efficiently. Historically, they discovered that ashes from a fire acted as a natural fertilizer, providing nutrients for new plants to grow. 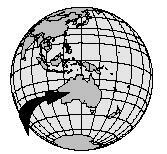 Although this was successful, some groups living in the dry Australian desert regions often suffered a lack of food and were forced to move elsewhere. Before the arrival of Europeans in the late 1700s, the Aborigines were successful hunters and gatherers. They lived off the land by understanding plants, animals, and natural resources. Aborigines continue to feel that they have a special relationship with the land. homes, prepared food in pots and pans, and traded goods outside of Australia. Some Europeans adopted customs from the Aborigines, such as food-gathering techniques, but most continued to live by European customs. Along with a different way of life, the Europeans carried new diseases, often infecting the Aborigines, who had no resistance to foreign illnesses. Thousands of Aborigines died and their population decreased. Many who survived were forced to abandon their land and move to areas that were governed by the European settlers. This limited their ability to live a traditional lifestyle. It became difficult to grow, gather, hunt, and prepare traditional foods. As Europeans began to settle the territory of Australia, their cooking techniques and some imported ingredients were combined with the native foods favored by the Aborigines. For decades, the European settlers tried to convince—or force—the Aborigines to adopt the European way of life, especially in customs of food, housing, clothing, and education. The most drastic example of this is something the government did for approximately 150 years, ending in the early 1970s. The Australian government enacted programs to remove Aboriginal children from their homes and place them with families of European descent. The government hoped the Aboriginal children would replace their own traditional customs with the European customs of the majority population. But by the end of the twentieth century, the Australian government took action to recognize the Aboriginal way of life and to restore their property rights. Native plants and animals the Aborigines ate became known as bush tucker (or bushfoods —bush is the term Australians use for natural territory or wilderness, and tucker is another name for food). Bushfoods—native and wild foods—became a national industry in Australia in the early 1980s. There were bushfood restaurants, growers, and packagers of the popular native Australian foods. This industry expanded well beyond the early bushfood industry—macadamia plantations—of the late 1800s. Bush tucker varies depending on the region, climate, and season. Kangaroo, emu, and possum are available all year round and are popular meat choices among the Aborigines. Other meats, such as lizards, frogs, and turtles, are most often enjoyed during the summer. Seafood is also a common meal, particularly in communities along the seacoast. In the mountains of New South Wales, the Aborigines may feast on moths, which are rich in fat. The deserts of central Australia are home to witchety grubs (larvae) found in the roots of acacia bushes. The larvae, which are high in calories, protein, and fat, were once staples in the Aboriginal diet. Other insects in the traditional Aboriginal diet are bees, ants, and termites. Native edible plants include yams, onions, spinach, tomatoes, berries, and grass seed. Roots of some other native plants are also harvested to eat. Seeds and flowers of the acacia were ground to make a kind of flour that could be mixed with water to make a simple cake. Probably the most widely recognized bush tucker recipe is damper , a simple type of bread made of water and flour. Although the Aborigines originally baked this bread, it was the Europeans that gave it the name damper . Billy tea, named for the "billy" (pot) with a handle that is used for cooking over an open fire, is also popular. The billy is used to boil water for tea. Billy tea is now enjoyed by all Australians, both Aborigines and Europeans alike. When a sweet drink is desired, the water is sweetened with either honey or nectar collected from flowers. Some people also enjoy billy tea prepared according to the European custom of adding milk and sugar to the brewed tea, just before it is drunk. Fill billy pot ¾ full with water. When the water is boiling, add the tea leaves. Remove the pot from the fire or stove. Stir leaves and water with stick (or wooden spoon). Pour the tea slowly into the drinking mug. Add sugar (or honey) and milk if desired for taste. Grease and lightly flour a baking sheet. Mix flour, salt, sugar, and butter together in a bowl. Add milk and mix well. Knead the dough for about 5 minutes. Shape into a flat circle and place on the baking sheet. 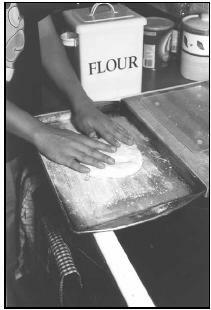 To make Damper (European Style), shape dough into a large flat circle on a greased and floured baking sheet. Mix flour and salt together. Add water slowly until a stiff dough is formed. Pat the dough into a round shape on a greased baking sheet. Bake for one hour. Combine nuts and dried fruit in a bowl. To serve, shake a small amount from the bowl into the person's cupped hands, or use a cup or ladle to scoop servings out of the bowl. Australia's national Journey of Healing Day, better known as Sorry Day, is probably the most significant modern national holiday for the Aborigines. In the 1970s, the government recognized that forcing the European lifestyle upon the Aboriginal people was wrong. It declared May 26 as "Journey of Healing Day" when all citizens celebrate Aboriginal culture and customs. The celebration includes parades, public speakers, and other festivities. Aborigines often use this day to show off some of their best native cuisine. For Aborigines, food is closely associated with spirituality. They believe that everything living, including humans, was created by great spiritual beings. A key part of their spirituality is Dreaming, a belief that the great spirits live on in nature and through rituals. They believe that the spirits do not want them to eat certain foods. Customs of hunting, gathering, preparation, and cooking evolved through their religious beliefs. Each person feels a connection between himself or herself and a particular plant or animal. This special plant or animal is known as the person's totem . Many people do not kill or eat their totems, except during special ceremonies. 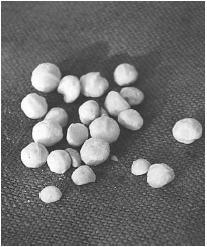 Macadamia nuts from native trees were gathered by the Aborigines when they lived solely in outlying areas of Australia. Combine baking soda, powdered sugar, flour, and salt in a bowl. In a separate bowl, mix the butter, shortening, and eggs until smooth. Combine and mix together all ingredients into one bowl. Add nuts. Drop teaspoons of dough about 2 inches apart on an ungreased cookie sheet. Historically, Aboriginal males were responsible for hunting most animals, including birds, various seafood, and kangaroo. Larger animals, such as the kangaroo that is more challenging to catch, were often hunted by groups of hunters. Men used spears, harpoons, nets, traps, clubs, and even boomerangs for hunting wild creatures. Women tended to be responsible for the gathering of plants, shellfish, and insects. These gender roles continue today in traditional Aboriginal families. Even when plants are plentiful, the Aborigines are careful not to waste. They use all parts of the plants, including seeds, roots, stems, leaves, and fruits. However, many plants require special preparation. Some are poisonous, others are tough, covered with prickly foliage, and most require washing, pounding, or grinding before they can be boiled in water. Food preparation methods differ among regional groups, often depending upon climate. Food has often been cooked in the smoldering ashes remaining after a fire. Alternatively, food may be placed directly on top of glowing coals, boiled in water, or steamed in an oven-like pit in the ground. In the twentieth century, some Aborigines began to use modern products (such as aluminum foil) in traditional cooking techniques such as steaming. The billy (pot) introduced by Europeans is widely used by Aborigines to make cooking easier. Historically, Aborigine children had to begin caring for themselves at an early age. Most were given their first small spear before age four or five. Sons would follow their fathers to watch how they hunted and made tools. Daughters would learn how to gather foods and prepare meals from their mothers. Some Aboriginal families continue to follow the occupations of their parents. The Aborigines use a type of boomerang that is different from the modern "returning boomerang" that is popular in modern-day Australia. When an Aborigine hunter throws a "non-returning boomerang," he uses a spinning motion. The boomerang hits the target with more force than a stick or rock. Many Aborigines also use the boomerang to scrape animal hides (and for other scraping tasks) and to start fires. Children use them as toys. Albyn, Carole Lisa and Lois Sinaiko Webb. The Multicultural Cookbook for Students . Phoenix: The Oryx Press, 1993. Isaacs, Jennifer. Bush Food: Aboriginal Food and Herbal Medicine. Sydney, Aus. : Lansdowne Pub., 1996. Kuper, Jessica. The Anthropologists' Cookbook . New York: Universe Books, 1977. Aboriginal Trail. [Online] Available http://155.187.10.12/anbg/aboriginal-trail.html (accessed January 19, 2001). Australian Aborigines: History and Culture. Encyclopedia of Aboriginal Information A to Z. [Online] Available http://www.aaa.com.au/hrh/aboriginal/A_Z/atoz1.shtml (accessed April 6, 2001). Australian Bureau of Statistics. [Online] Available http://www.abs.gov.au/ (accessed January 19, 2001). Australia's Bushfood Industry. [Online] Available http://www2.dpi.qld.gov.au (accessed January 19, 2001). BushTucker. [Online] Available http://www.arts.lunimelb.edu.au/amu/ucr/student/1997/silva/int_cooking.htm (accessed January 19, 2001). Corroboree 2000: Towards Reconciliation. [Online] Available http://www.reconciliation.org.au/towards/pg3.htm (accessed January 19, 2001). Food of the Australian Aborigines: 1000 BC–700 AD. [Online] Available http://library.thinkquest.org/C005446/text_version/English/aborigine.html (accessed January 19, 2001). Price-Pottenger Nutrition Foundation. [Online] Available http://www.price-pottenger.org/Articles/Aborigines.html (accessed January 23, 2001). Use of Insects by Australian Aborigines, Cultural Entomology Digest 1. [Online] Available http://www.bugbios.com/ced1/aust_abor.html (accessed January 19, 2001). Hi, I am searching for appropriate aboriginal wording to describe an area that is a 'native garden' or where 'bush tucker' is grown. We don't want to call the area just boring 'native garden and do grow and are planting typical 'bush tucker' foods. Thanks for any help.